I was sitting at my camp crafting when I got a message saying Evade assassination attempt from "playername" and then I suddenly wasn't protected from my camp and had to run from the red skull player headed towards me. Is that a random thing or some kind of stranger event? was I targeted specifically and if so how did they do that? A bit lame as I thought I could go afk at my camp for a few minutes and never have a problem... very interesting. They are just aesthetics for your weapon. That’s what I thought. I figured I’d ask because like the wrap upgrade which doesn’t display any benefits at the purchase, it does reduce the weapon’s deterioration rate. It would be cool if the stock upgrade had an effect as well. This is actually the result of a stranger mission from Sean which is uber stupid. You're forced into PvP. Also, it seems to target the entire posse if you are in one and get targeted. Can't get my horse back without going to the stables after an injury. Anyone else? ahh ok, so just unfortunately random... you would think being in white flag camp I wouldn't be targeted. Had this problem, if your horse died at some point you need to heal it, tap left on dpad> owned horses>"your horse"> heal. something like that i think... after that it was fine. Seriously? Can't take a piss when playing at the best of times with camp moving all over the show, lol. That is part of the game design. It encourages players to take care of their horses. Injuries come with that small cost. Without that feature players wouldn’t give a crap about their horses health. Players would play recklessly without this feature because they know they’d just need to whistle for their horse again after it died. I’m glad they made it like this personally. So, is it still awful? Also I bought a pocket watch online but cant find it in my inventory?? Let me clarify. If I get it out of the stables and switch lobbies I have to get it out again. If someone shoots me I lose it until I go back to the stables. Every time. Can I sell/delete/whatever a stable slot? Good question. Probably not. Like GTA Online properties, once you purchase/own them your stuck with them and their daily fees. Once you’ve finished all of the yellow story missions, can you replay them again eventually? And if so, are the payouts the same on subsequent playthroughs? I got like $250 for the finale, it was awesome. Finally some financial progress. In order to gain weight you have to eat a lot of food whenever you eat, I eat like two or three things whenever my guy eats, or eat candy/chocolate/cheese/salted stuff. It won't immediately have an effect, it takes a few seconds or so for the food to "digest." I prefer to keep my guy Average but close to Overweight, the Damage Absorption is more useful to me than the Stamina Drain Decrease from being Underweight. I'm not sure it's the quickest but I noticed you get a lot of honour from hunting since you are "resourceful" according to the game. 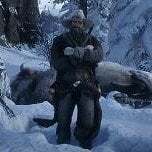 Am I the only one that have experienced not being able to sell animal pelts to the butcher in Blackwater but the same ones are sellable in Valentine? A bug or a reason for this? My hat doesn't show up in the weapon/items/horse wheel but I placed it on my horse in the wardrobe??? Is this a bug or what do I have to do? So here is the problem. i am a owner of a posse with 7 members. One of my members upgrade the camp he pay the tent for 90$.But when i moved the camp i realized that it didnt keep the upgrade. So only the owner of the posse can upgrade the camp? Not sure if this was asked but does crouching hide your location? How do I learn or acquire the recipe to craft special arrows? Level locked? If you go to the Fence, you can purchase the recipe pamphlet. Fish and trow back fish works good in SM.. So probably online 2.